Why is it that so few people who recover from an episode of severe depression never have another one? This question, addressed in a recent New York Times article, brought to mind one of my own: What does personality have to do with it? In the New York Times print article “Depression Obscures Recovery,” Benedict Carey reports on two studies by South Florida psychologist Jonathan Rottenberg and his colleagues. In one, researchers followed 6,000 participants in a long-term survey. 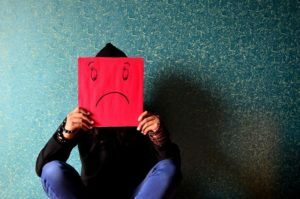 They found that only 10 percent of those who’d had a diagnosis of major depression became what they call “post-depression flourishers.” Only these few went on to have lives free from severe mood problems. But 90 percent of the once-depressed sample suffered recurrent depressions. I think that all these sets of numbers seem depressing! Still, what enables people who recover from a bout of depression to stay on the bright side? For years in my professional world, I have been curious why so little attention has been paid to what depressed people were like before they became depressed. What were their personality patterns?We all know people who are “glass half-empty” types—the pessimists who scowl often and always expect the worst. In the language of The New Personality Self-Portrait, these pessimists may have a hefty dose of the Serious style, characterized by no-nonsense, sober, critical views of themselves and others. Perhaps this style accompanies a Vigilant style—marked by staying alert and being prepared for misfortune. It would be very interesting to know if those with this Serious/Vigilant personality pattern might be at greater risk than the average person to experience recurrent depression. If so, then protective steps could be taken in advance to strengthen resiliency, figure out ways to shed some of the gloom and doom and perhaps even to head off depression at the pass. Other of the personality styles designated in The New Personality Self-Portrait are known to provide vulnerability to anxiety (such as Sensitive style) and to volatile or at least changeable moods (in particular Mercurial and Dramatic styles). Which combination of personality styles protects from or encourages mild to moderate to recurrent, severe depression? And which personality patterns provide the framework in which to flourish and thrive? We need to find out. Even though we are who we are as the years go by, personality is not fixed in stone for a lifetime. There are ways to grow and change to strengthen certain traits or to smooth out some rough edges–even after recovering from depression.